Harry is the best and technically the 'only' at what he does, being the lone professional wizard PI in the Chicago phonebook. So when the Chicago PD has cases that transcend mortal capabilities, they come to him for answers. For the 'everyday' world is actually full of strange and magical things - and most of them don't play well with humans. 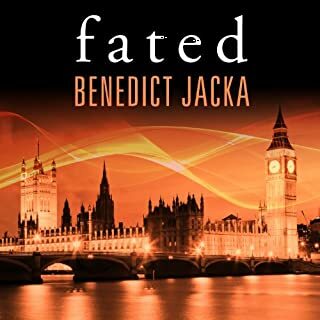 Yet despite his precautions, Harry tends to stumble from crisis to drama in his dealings with the supernatural world - call it an occupational hazard. 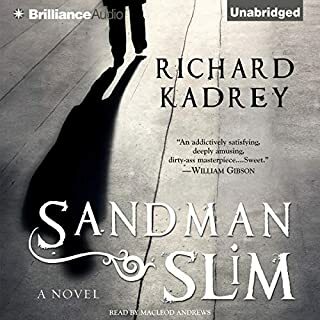 These bite-sized stories are tremendously entertaining and will leave you itching to explore more of Harry Dresden's world. 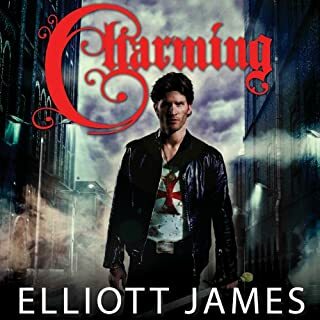 And as well as eight short stories, this collection includes an all-new Dresden Files novella. Awesome stories that will take you deeper into the Dresden universe. James Marsters does a terrific job portraying stories from other characters perspective than Dresden. Some stories I had allready read but there was new ones. Especially I liked last one because Harry and his doughter is still undiscovered country. There is also stories thru other eyes like Molly and Butters. You really should read this book not because its Harry Dresden but because there is much other people in Dresden files that matters too. Its good and ..ofcourse lots of fun! 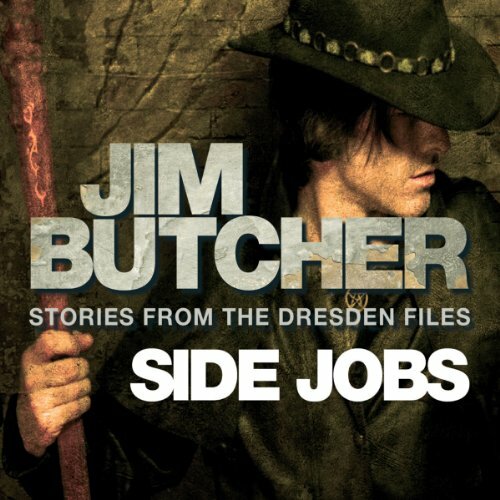 If you could sum up Side Jobs: Stories from the Dresden Files in three words, what would they be? What was one of the most memorable moments of Side Jobs: Stories from the Dresden Files? seeing the world through Thomas the Vampires eyes and learning about the oblivion war. I'm hoping more of the oblivion war will be introduced in future Dresden novels. 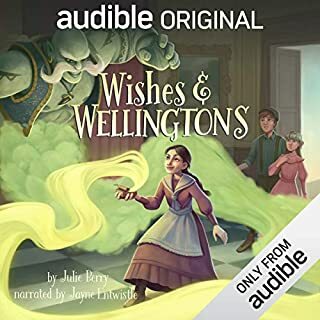 I enjoy the character Thomas in the main novel, but having a story told in Thomas's voice help show where his loyalties lie and how he feels about his family, his demon, and Harry. What does James Marsters bring to the story that you wouldn’t experience if you had only read the book? James Marsters brings all the characters to life, and help emulate their actions and intentions though his performance. In my eyes, or should i say ears, James Masters' version of Harry Dresden is Harry Dresden. It is difficult to say as the book is a compilation of many stories and i don't want to give anything away. This is a must read after Changes and before Ghost Story, as it contains the novella 'Aftermath' which shows the few hours after Changes. I made the mistake of reading Ghost Story before this book and felt that I had missed something from the beginning. Also this book brings together a lot of Jim Butchers short stories and Novellas which are contained in other Anthologies, so its good to have them all in one place. An indispensable part of the Dresden canon. I recently re-listened to all the Dresden novels but missed out Side Jobs. Error. Despite the difference in format, Butcher pours all his characteristic wit and skill into every sentence - moreover, there are nuggets of Dresdenverse knowledge in here that no fan will want to miss. Indispensable stuff from the master of 21st Century Wizard Noir. 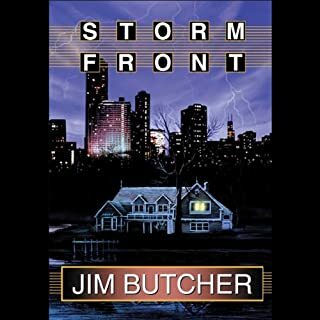 Probably not for those new to Dresden, sadly - just bite the bullet and buy Storm Front. 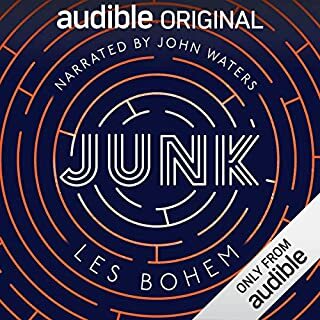 I don't often bother to review books, but I enjoyed this one so much that I felt that I had to encourage others not to miss out on such great entertainment. This is a series of short stories whereby Jim Butcher provides some back info. about some of the regular characters in the Dresden files - Murphy; Dresden's brother, Thomas; Billy and Georgia, the werewolves and others. I don't normally like short stories because I am just getting caught up in the plot and atmosphere and then it is over, but these anecdotes are different. Each comfortably stands alone and there is no sense of let down at the end. James Masters exceeds even his normal superb performance and really brings the characters to life. I have already listened to the stories several times and found something new each time. This is a compilation I will be able to listen to again and again without getting bored. 5*? I would give it 10. I wasn't sure what this would be like, but was pleasantly surprised, this book of short stories really made me smile! Great range of stories from throughout the series' timeline so far and some notes from Jim Butcher explaining the shorts. Expertly narrated by James Marsters with his usual passion and expression. A great reprieve between Changes and Ghost Story. A fun read, and further develops some of Butcher's essential characters. Loved it. Each story better than the last and the final one is a better! Loved it. Each story better than the last and the final one was a belter! It was really good hearing from some of the side characters and hearing between the books stories. Would definitely recommend. Satisfied a much needed fix while we wait for the release of Peace Talks - thanks Jim!